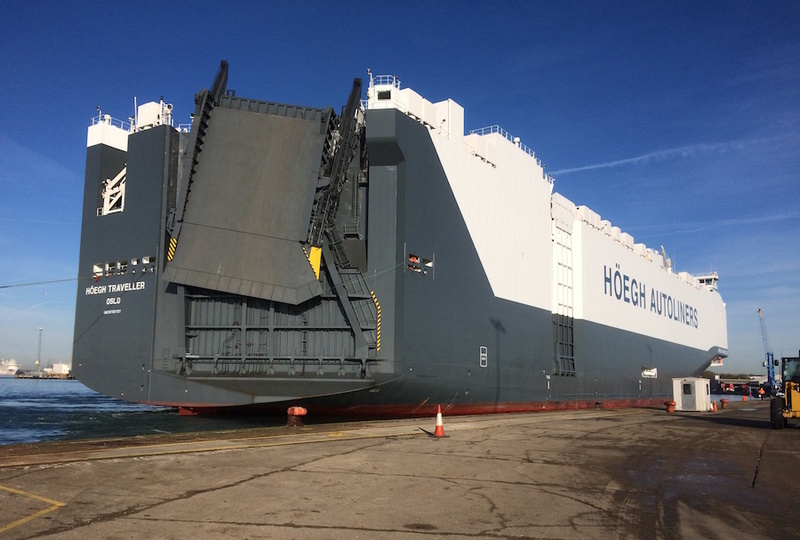 Pathfinder has supported sister company SCH in handling the maiden call in Southampton of one of the world’s biggest roll-on/roll-off ships with the visit of Höegh Autoliners’ Hoegh Traveller. Built in China, Höegh Traveller is the fifth of six Post-Panamax New Horizon vessels that are being delivered to the Oslo-based ro-ro specialists this year. With its deck space of 71,400 square meters and carrying capacity of 8 500 car equivalent units, the vessel is one of the world’s largest Pure Car and Truck Carriers (PCTC). Höegh Traveller is, together with her sister vessels, designed to minimise impact on the environment. Energy efficiency principles have been followed throughout the ship design process and the latest technology in the market has been implemented. Attention has also been paid on optimising the hull form to combine high cargo capacity and low fuel consumption. Extensive model testing has been carried out to achieve outstanding performance and, in addition to calm water performance, special focus has been paid on added resistance in heavy seas and wind resistance. 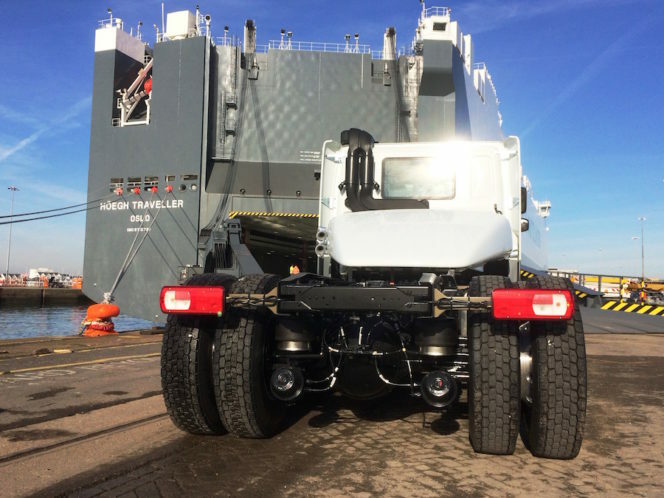 Furthermore, the New Horizon vessels are estimated to emit 50 per cent less CO2 per car transported than a standard car carrier. Höegh Traveller arrived in Southampton from Asia on her maiden voyage, loading cargo for the voyage back to East Asia via Africa and Oceania. Pathfinder personnel were busy in helping SCH to, discharge and load some 300 ro-ro units, comprising cars and heavy cargo, on the maiden call.